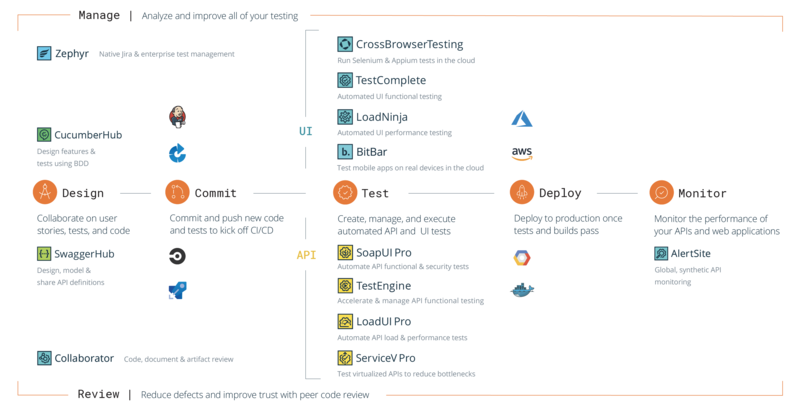 At SmartBear, we have products for code review, API and UI level testing, and monitoring across mobile, web and desktop applications, we equip every member of your team with tools to ensure quality at every stage of the software cycle. Our software is downloaded over 15 million times to date. We have a community of over 5.8 million users that leverage our software and solutions. We have a community of over 5.8 million users that leverage our software and solutions. Our customers include 20,000+ companies in 194 countries. For more information, visit: http://smartbear.com, or for the SmartBear community, go to: Facebook, Twitter, LinkedIn or Google+.